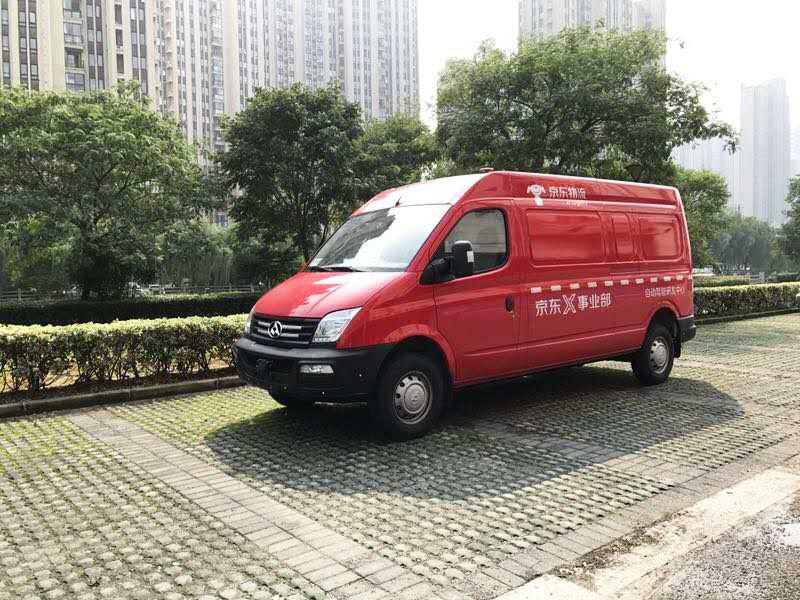 JD on Thursday announced that it is cooperating with SAIC MAXUS and Dongfeng Motor Corporation to roll out driverless trucks, local media are reporting. JD said that the government’s transportation unit is running road tests for the trucks. JD and SAIC MAXUS jointly launched the EV80 autonomous light-duty truck equipped with cameras, radar, sensors, maps, and a GPS system. The company said that the cars are able to sense obstacles from 150 meters away, leaving the vehicles enough time to rearrange routes and avoid obstacles. In addition, with the front cameras, the driverless trucks can analyze road conditions and move accordingly when there’s a change of traffic signal. The trucks are expected to arrange routes, switch roadways, avoid obstacles, spot parking space, and park on its own, according to the company. The road tests, however, are conducted with drivers in the car in case of emergencies to ensure road safety, said the firm. JD has an ambitious plan for its smart logistics solution. The online retailer has dispatched drones to help rural e-commerce take off while constantly testing driverless light-duty trucks, which are expected to operate in urban areas. The company has reportedly established an independent department in April to develop its logistical solutions.